Google likes to give away free albums these days, and while the offerings have been all over the place, who are we to look a gift horse in the mouth? 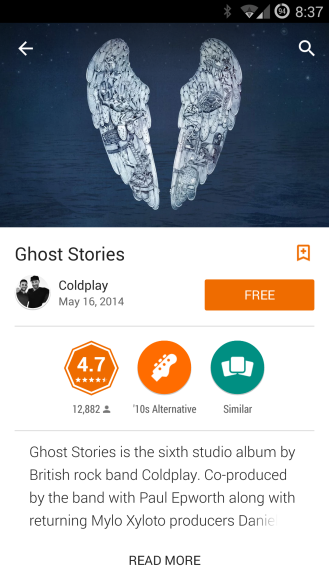 This time around you can get Coldplay's sixth studio album, Ghost Stories. 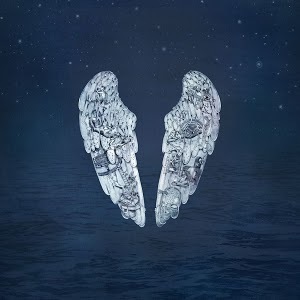 Ghost Stories came out in May of last year and contains nine tracks. Altogether you're looking at over 40 minutes of ice-cold British rock. Or is it mostly pop? Would that make it steaming hot? Google Play is celebrating its third birthday with a bunch of deals, so if Coldplay doesn't particularly tickle your fancy, be sure to peruse through the other discounted albums, books, movies, apps, and games.